Professor Jeremy Sheff’s new essay, I Choose, You Decide: Structural Tools for Supreme Court Legitimation, has been accepted for publication in the Seton Hall Law Review. 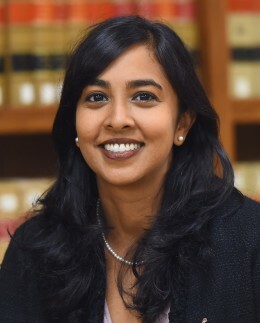 In light of increasing partisan polarization over Supreme Court appointments, Professor Sheff’s essay argues in favor of changing the way cases are selected for the Court’s discretionary appellate docket. Specifically, he proposes separating the authority to select cases for review from the authority to decide those cases. The essay makes the case that such a reform could both de-escalate the confirmation wars and help rehabilitate the Court’s increasingly threatened legitimacy without requiring a constitutional amendment. Efforts to rein in partisanship (or the perception thereof) on the Supreme Court tend to focus on reforms to the selection, appointment, or tenure of Justices. I propose a different, and perhaps complementary reform, which would not require constitutional amendment. I propose that the selection of a case for the Court’s discretionary appellate docket should be performed by a different group of judicial officers than those who hear and decide that case. The proposal leverages the insight of the “I cut, you choose” procedure for ensuring fair division—only here, it manifests as “I choose, you decide.” This proposal, rather than attempting to correct any supposed institutional deficiency that exacerbates the effects of partisanship, instead seeks to create a structure of checks and balances by pitting partisanship against partisanship.